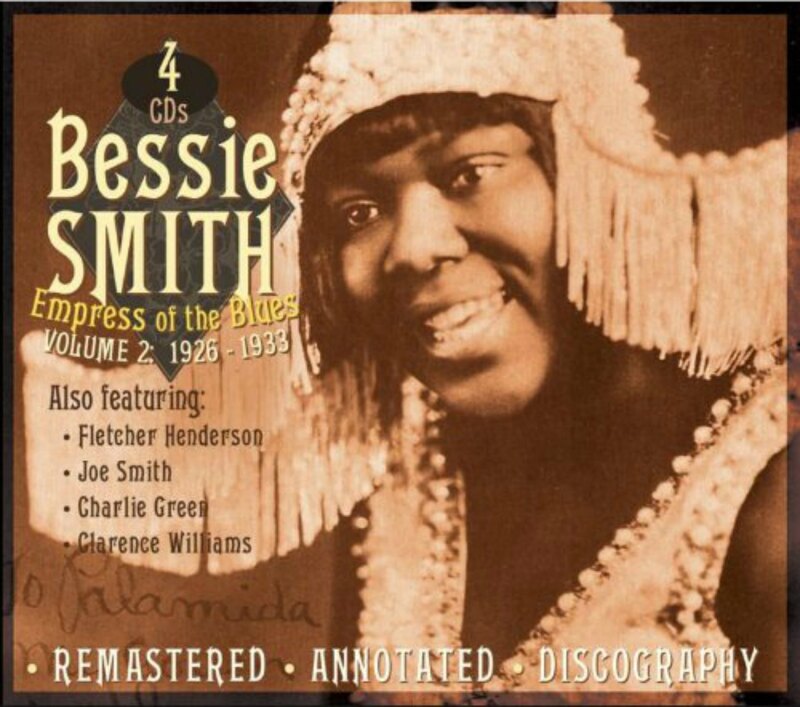 As one of Our Recommendations and Recommended Recordings, we recommend the following Bessie Smith recordings. Bessie Smith one of the major vocalists in blues history so we think it’s worth having her complete recordings. 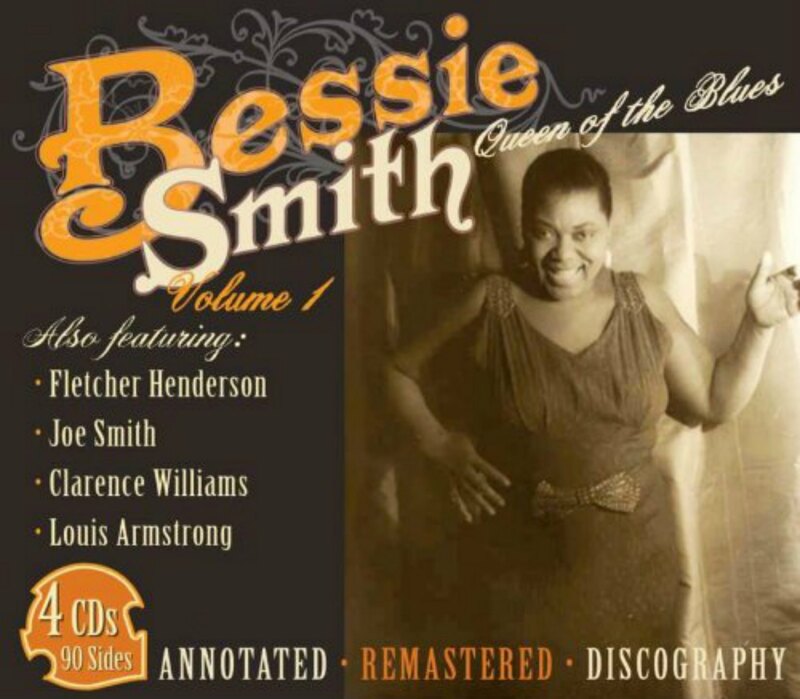 CD cover, Bessie Smith – Queen of the Blues, Volume 1, on JSP Records. Empress of the Blues, Volume 2: 1926-1933 is a 4 CD set which, as the title suggests, covers all of Bessie Smith’s recordings between 1926 and 1933.